Sitting in traffic at a red light the other day made me think about all of the different automated signals we have in our life that enable us to mindlessly go with the flow and how that expectation then seeps into other areas of our life causing us to wait for some type of signal or green light to move forward. I thought about this in relation to all of the things we say we want to do and accomplish but we never make a move. Why? What are we waiting for? And what if the things that we’re waiting for never appear? 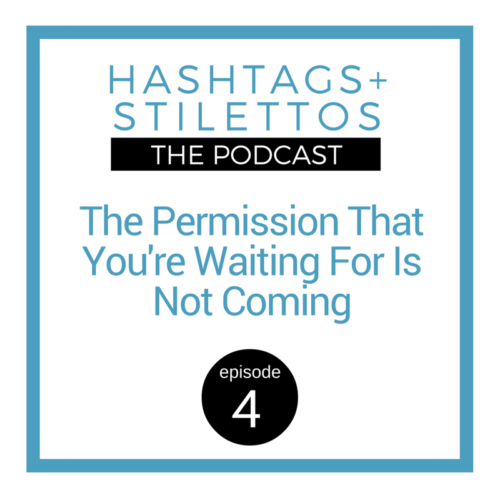 The permission that you’ve been waiting for is not coming. Are we holding ourselves back by waiting for signals that are never going to appear? Have we been waiting for permission? Validation? A co-sign? Or, perfect timing? What can we do once we realize that we’ve been getting in our own way because of these things? When we choose to empower ourselves and give ourselves permission, what can we accomplish?